3 Days til Disneyland - Haunted Mansion! 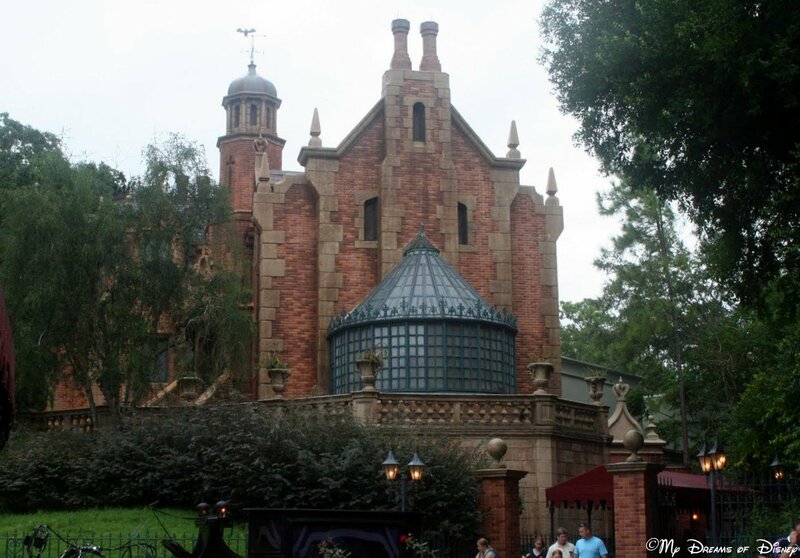 The Haunted Mansion — subject of so many incredible posts over the years — this iconic building at Disneyland is our choice for day 3 in our countdown to Disneyland series! There are so many things I really like about this great attraction, I “scare”sly know where to start! In addition to the structure, the way the stretching room operates is different. I’m not going to go into details here, but it is different. Also, at Disneyland there are four Hidden Mickeys throughout the attraction, and one Hidden Donald Duck! Can you find them all? At the Magic Kingdom version of the attraction, there are seven Hidden Mickeys, two Hidden Donald Ducks, and even one Hidden Mr. Toad! I absolutely love this attraction, and I can’t wait to experience it later this week! Come back tomorrow and Wednesday for our final two countdown to Disneyland attractions, and as for this attraction, let me know what you think in the comments! Thanks! Previous Post: PassPorter Book Giveaway with WDW Hints! Next Post: Tiggerific Tuesday Trivia – Tiger!